A heartless thief got down on one knee to propose to his girlfriend – with a ring he’d stolen from a 91-year-old woman days earlier. Steven Reid, 38, popped the question on Christmas Eve last year, but the romantic gesture backfired dramatically when his would-be bride recognised the ring from a police appeal. 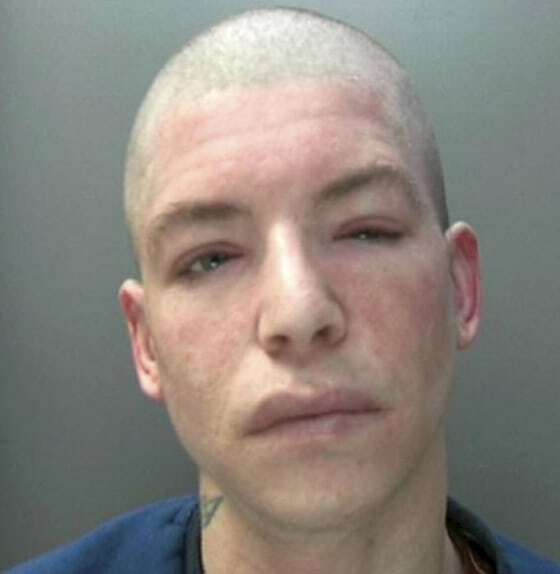 The thug and his accomplice Jerome Jones, 26, had broken into the pensioner’s home on December 19. They kept the terrified lady trapped in her own bedroom while on searched other rooms for valuables and the other pilfered cash from her purse. The vile pair escaped with the victim’s jewellery – including a signet ring, watch and bracelet belonging to her late husband – and Jones attempted to sell the stolen valuables at a jewellery shop the next day, but was turned away. His pal Christopher Rowland, 40, then successfully swapped the valuables for cash later on in the day. However, staff at the shop in Birmingham alerted West Midlands Police on December 29 when they recognised the jewellery from a police appeal, and Rowland was arrested later in the day. By forensically examining a chisel left at the scene of the burglary, police were able to trace Reid, of Sutton Coldfield, Birmingham, and Jones, of Bromsgrove, Worcs. 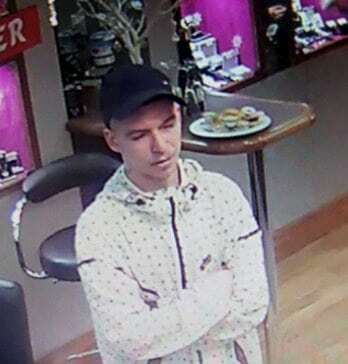 Accomplice Jerome Jones in jewellery shop trying to sell the stolen valuables. 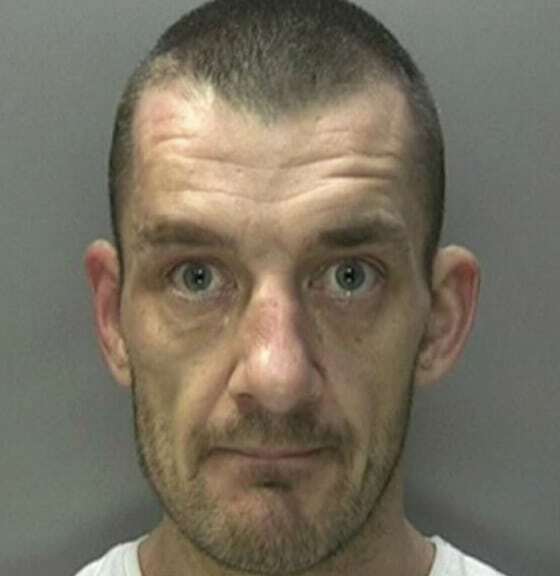 Jones admitted burglary and Reid was found guilty of the same offence at Birmingham Crown Court. They were jailed for four years and three months, and four years and nine months respectively on Wednesday (5/7). Meanwhile Rowland, of Erdington, Birmingham, was given a 12-month community order and a conditional discharge for handling stolen goods. Detective Sergeant Tom Lyons, of West Midlands Police, said: “The victim was unhurt but this was clearly a shocking ordeal for her. “She was awoken by a security light being activated and footsteps on the stairs, and moments later they burst into her bedroom. “She was told to stay in bed while they ransacked her home. The lady was clearly elderly and vulnerable − and for Reid and Jones to prey on her vulnerability is despicable. “Members of the public were as disgusted as we were at the nature of the offence and we had a fantastic response to our public appeal for information. “Several people called naming Reid and Jones as suspects, while the jewellers and Reid’s would-be bride also called.